Capt. Ruel Weldon Davis, son of Mr. and Mrs. L. E. Davis, Olney, attended Olney High. Entered Army, 1942, trained in Texas, Ark. and Kansas. Served in ETO. 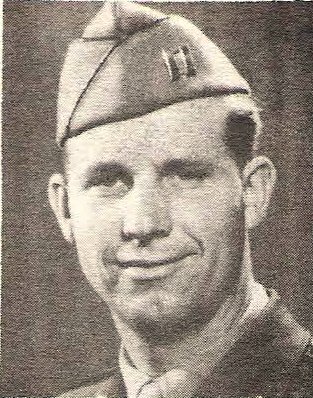 Awarded Air Medal, OLC, Purple Heart, Silver Star and 5 Battle Stars. Wounded in Germany, 1945.